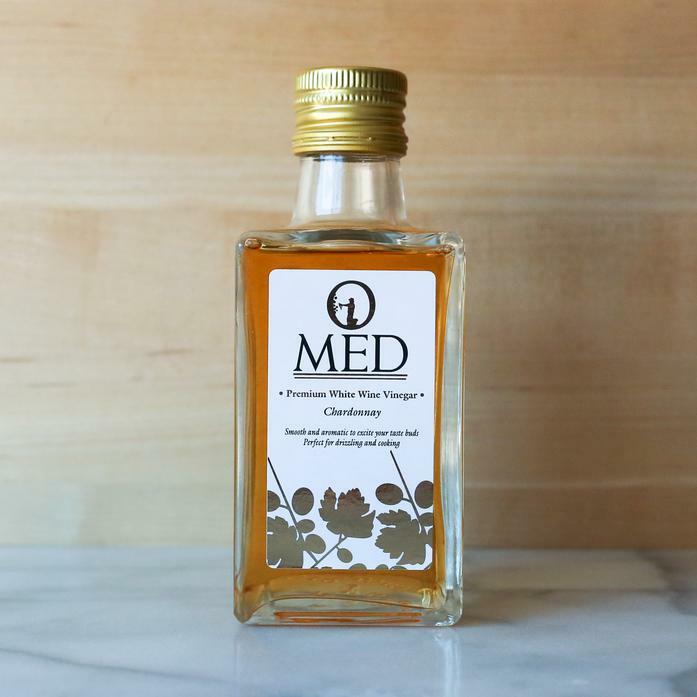 Our Chardonnay vinegar is slightly sweet and features a beautiful golden presentation. The natural method of converting Chardonnay wine to vinegar requires 12 months of aging in French oak barrels and results in a unique smooth acidity and well-rounded fruity flavor with noticeable hints of fine oak. Use this vinegar to marinate fish or crudo. It is also great for pickling and on vegetables and salads.